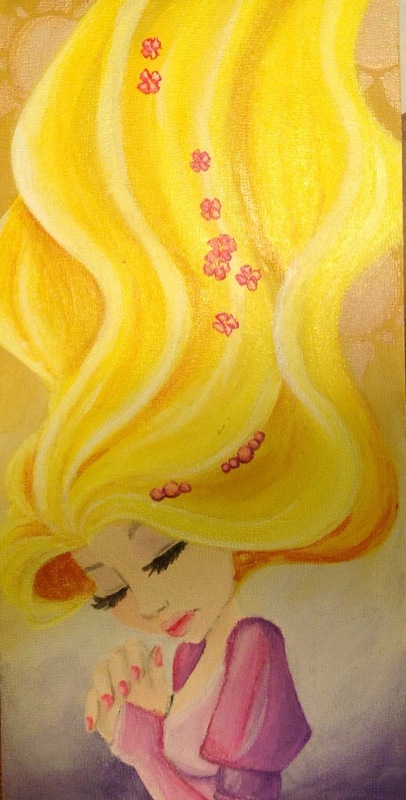 Disney’s Rapunzel. Acrylic on 4×8 wood panel. 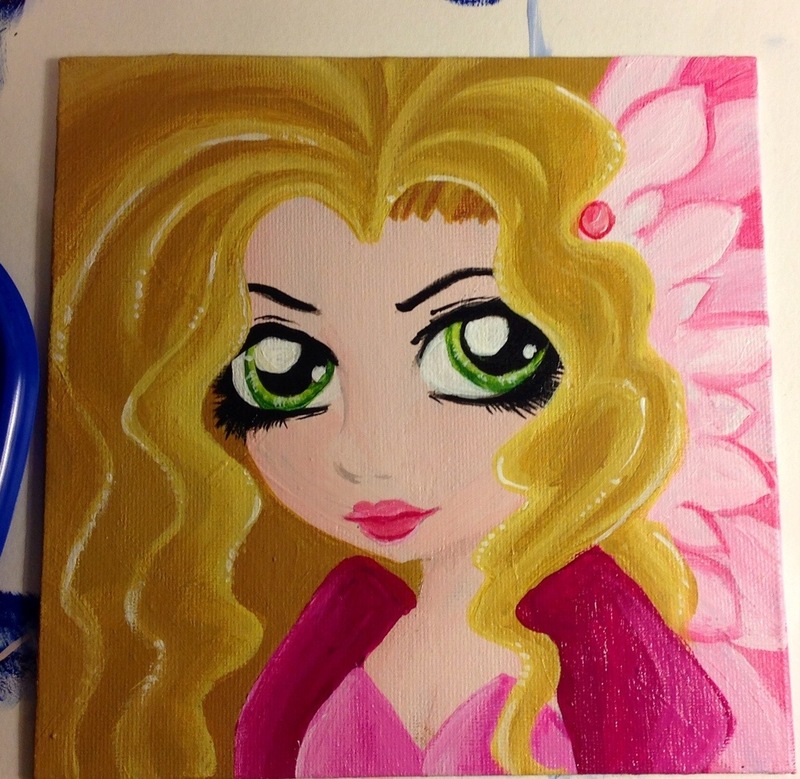 A pretty pink winged angel. Acrylic on 6×6 art board. Thank you! 🙂 More art is on the way.